The piece went on to mention that the ratings for Monday night’s back-to-back episodes “were also down significantly from the May 25 premiere, which brought in 9.8 million viewers,” implying that viewers are less interested in Jon and Kate now that they’re not one big happy family anymore. But in reality, the exact opposite is true. The last episode before the show’s month-long hiatus was the one in which viewers learned that Jon and Kate were separating after 10 years of marriage. There was significant media build-up prior to that episode that suggested the couple would be announcing their intention to divorce on-air. So, a record 10.6 million people tuned in. The May 25 premiere, which set a show-ratings record at the time, also followed intense media speculation–weeks of it, in fact, by folks like Us Weekly–that one or the other of the pair was cheating and that their marriage was in trouble. Compare these numbers to the ratings for last season’s Jon & Kate finale: 4.6 million. That was back in March, when no one thought anything was wrong with Jon and Kate’s marriage (except, maybe, that Kate was a nag), and, at the time, it was the highest-rated episode of the show EVER. The ratings for Monday night’s episodes that Us claims lost so many fans, meanwhile, were in the same range: 3.9 million for the first half-hour, 4.1 million for the second. The conclusion here? Viewers of Jon & Kate Plus 8 doubled when their marriage started to tank. 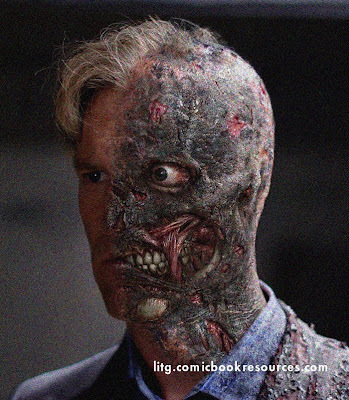 Those new viewers weren’t fans so much as schadenfreude-junkies. People’s lives falling apart–isn’t that the grist of reality TV? Once the Gosselins revealed that their marriage was, in fact, over, there wasn’t enough of a carcass to pick over anymore. Moving on… If you look at the numbers closely, the show doesn’t appear to have lost any of its loyal fan base (although god knows why, we’ve never been able to sit through an entire episode, too many children crying at once, thank you very much). So why report it this way? Perhaps because Us Weekly has profited enormously from the Gosselins’ marriage failing–producing six consecutive covers this summer featuring either Jon or Kate–and they’re not quite done feasting off that carcass’ bones? Ruh-roh. 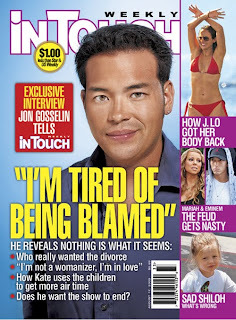 Jon Gosselin has a PRoblem (that’s a PR-problem). A month ago, when Kate filed divorce papers, Popeater conducted a poll, and the majority of people sided with Jon. But recently, they conducted the same poll, and the results flip-flopped. Moving far away from your kids, trotting out your new 22 year-old girlfriend in the south of France, partying aboard a yacht, and looking like a douchetard one month after your divorce does not, as it turns out, make people love you. Three weeks after his wife filed for divorce, Jon Gosselin took a weekend trip to St. Tropez with his 22 year-old girlfriend Hailey Glassman (not this one, this one), daughter of the surgeon who performed Kate’s tummy tuck, where they spent an afternoon on “designer” Christian Audigier’s yacht. But the weekend wasn’t all about fun in the sun for DISGRASIAN’s favorite Puff Daddy, who’s reportedly working out some kind of endorsement deal with Audigier, the man behind Von Dutch, Ed Hardy, his own eponymous line, and those giant billboards around L.A. mourning the loss of Michael Jackson. 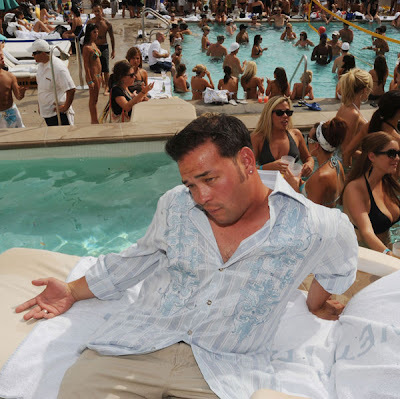 As next career moves go, Jon Gosselin shilling for an overpriced–the tee he was snapped wearing in St. Tropez, above, retails for $187–eye-assaulting douchewear emporium sounds just about right. 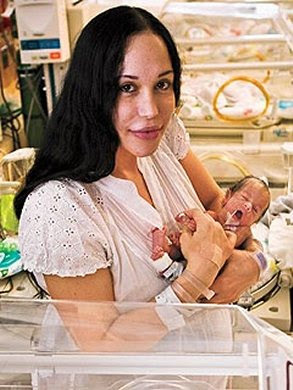 Octomom–Not Such a Crazy Person After All? Wait, wut? Did Octomom just say something that sounded kinda sane? Is Octomom not so crazy after all? Maybe. That’s a BIG maybe, mind you.